I am looking to build a loft bedroom. How much would it cost and how do I go about doing that? Small Office Home Office (Soho) apartments, which usually come with ceiling heights of 4.5m to 5m, are marketed with the assurance owners are able to build a loft level to maximise its tiny footprint. But buyers have to take into account the extra expense needed to build this mezzanine and the regulations relating to its construction. For instance, the new structure cannot be mounted onto the existing wall and floor surfaces and should be treated as a temporary addition, which can be removed. Its design also needs the endorsement of a professional engineer to ensure that it is sound and, once that is approved, the drawings will be sent to the estate management for record. For this Soho apartment in Kallang (pictured), the designer at Distinctidentity constructed the 300 sq ft loft level, its staircase and railing out of galvanised metal, which is stable due to its weight. "We usually provide a clearance of 2.1m at the top level, enough for a person to stand up," says the designer. As the home owner was going to use the space as a study, the designer customised wooden study desks and shelves for the room. The total cost came up to between $40,000 and $50,000. For a cleaner finish, home owners can consider using wood to build their loft, but that would be more expensive, says the designer. I've always liked prints and want to use wallpaper on my walls. What do I need to know about it? Wallpapers are not just decorative paper you paste on your walls anymore. The range of patterns and materials available now is huge and offers lots of exciting possibilities for the home decorator. Most wallpapers have a paper backing and a decorative printed layer which is finished with a vinyl top coat. The top layer can also be made of fabric and natural materials such as grass. Wallpapers offer texture and dimension as they can take on embossing, as well as flocking, which gives them a velvet-like surface. Generally, they are great for covering imperfections on the wall, such as cracks, with the exception of more delicate ones, such as those printed with foil or made of silk. Compared with paint, wallpapers are more durable if they are applied correctly and they also take less time to apply. However, they are also more expensive. It is also not advisable to use them in humid areas, such as bathrooms and kitchens, because the adhesive might lose its strength. My spare room, which is used for furniture and bric-a-brac, has developed a musty scent. How do I get rid of the smell? 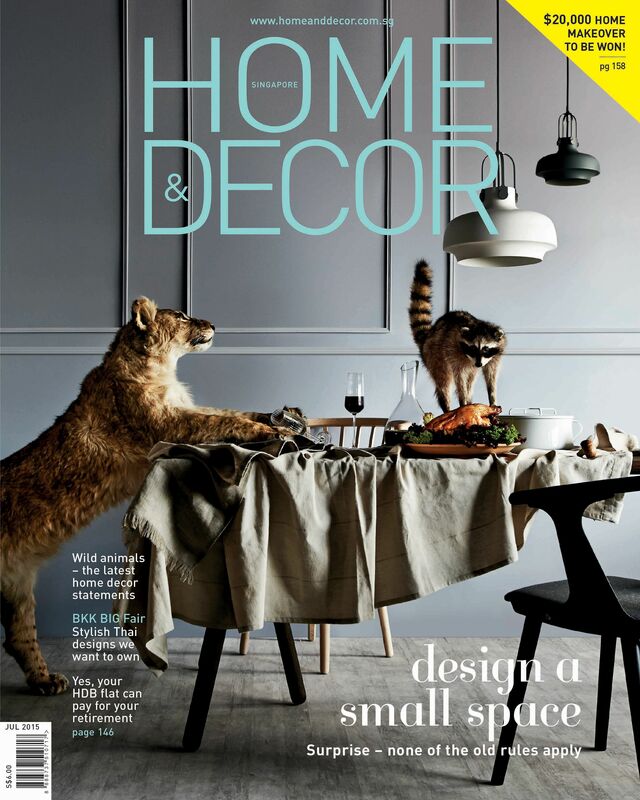 • Home & Decor magazine's editor Rebeckka Wong and experts in the renovation and home decoration fields answer queries from readers in this series. These questions first appeared in the July issue of Home & Decor, published by SPH Magazines. •Got a decorating or home renovation issue? Write to Experts Say, Home & Decor, 82 Genting Lane, Media Centre, Level 7, Singapore 349567 or e-mail maghomedecor@sph.com.sg. Photos and layouts are non-returnable. The first thing you must do is to open the windows and air the room. Do this often to prevent the air from getting stale. You might not be able to see mould with the naked eye, but "if a room smells musty, there's probably mould growing in it", says Mr Bernard Tan of AkzoNobel, which manufactures Dulux paint. Identify the source of the mould and fix it - is it a leak within the walls or maybe an opening that is allowing rain to trickle in? Rainwater can sometimes seep in through the walls too. For a natural remedy, place pieces of black charcoal around the room to get rid of the smell and reduce dampness, advises Ms Militza Maury of Little Green Dot, an eco-friendly living blog. Make a room spray with all- natural essential oils (get the recipe at www.tinyurl.com/naturalspray) instead of using chemically scented room fresheners. If you are clearing out the room for someone to move in, give it a fresh coat of paint to brighten it up. An app for all home appliances? Is there an app I could use to automatically switch on the appliances in my home? Since people already run most of their life using smartphones, they should be able to control their home environments through them too, right? But such control is possible only with devices that have an infrared connection, such as TV sets, hi-fi systems, gaming consoles and DVD players. There are apps you can download, however, which can turn your smartphone into a universal remote controller. Some work through your home's Wi-Fi network, so you can control your Wi-Fi-enabled devices too. Product-specific apps for home entertainment products, such as TV sets and hi-fi systems, are also becoming more commonplace, making the physical remote control a thing of the past. You can also install a professional home automation system, which comes with its own proprietary app to control selected features, such as your lighting, music and security.